Happy Monday Friends! Are you ready for Spring? Here in Southern California we have been spoiled with Spring weather for the past month. Today I’ve got 12 Spring Crafts that I’ve shared over the years to inspire you guys as we are just over a month away from Spring. 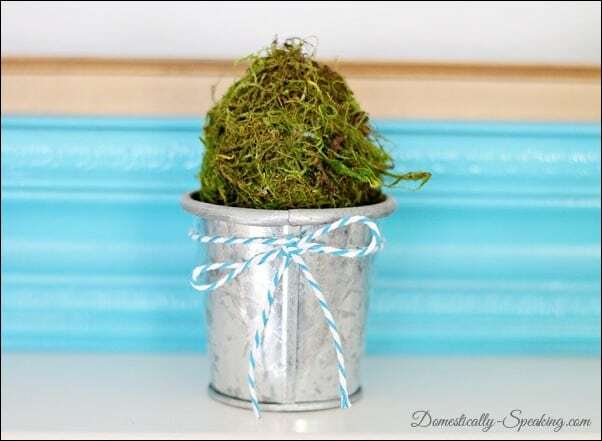 How to make a moss covered egg using plastic eggs. I noticed moss eggs in this year’s Pottery Barn spring décor. 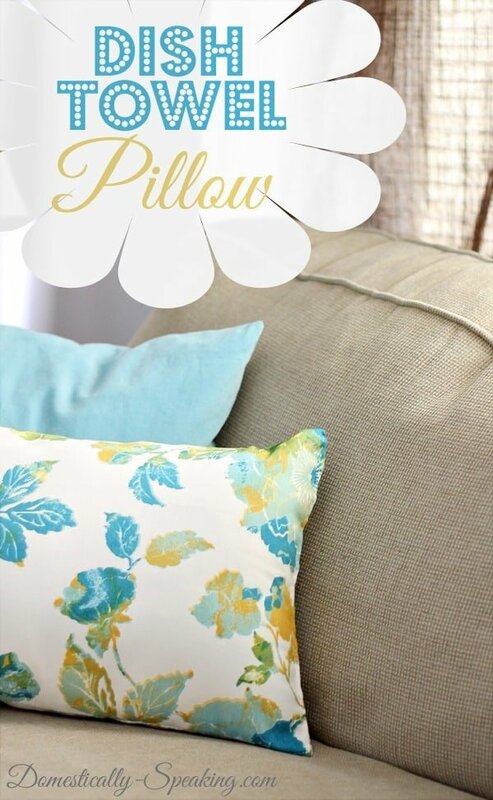 Find a pretty spring dish towel and recover your pillows. 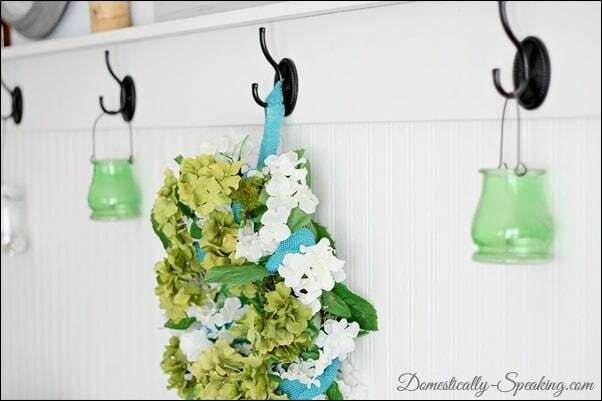 Lots of spring colors with this wreath. 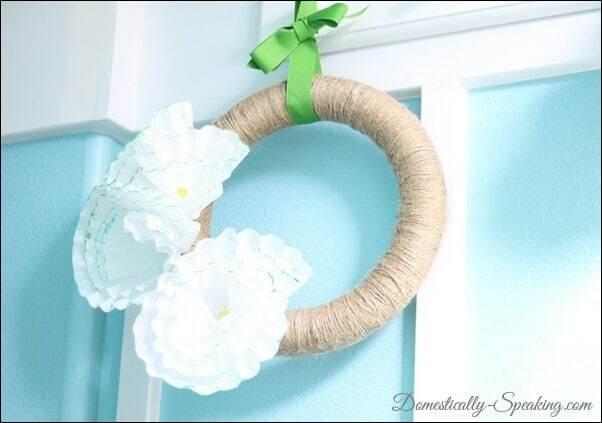 Gather a grapevine wreath, flowers you love and some burlap and moss. 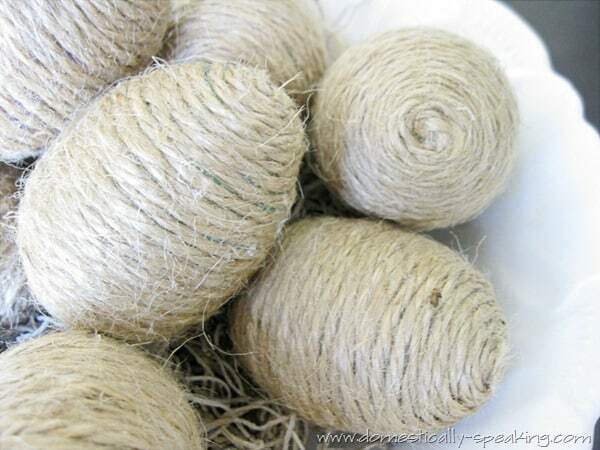 Twine Wrapped eggs or Twine’ified Eggs (as I like to call them) add great texture and can be painted too. 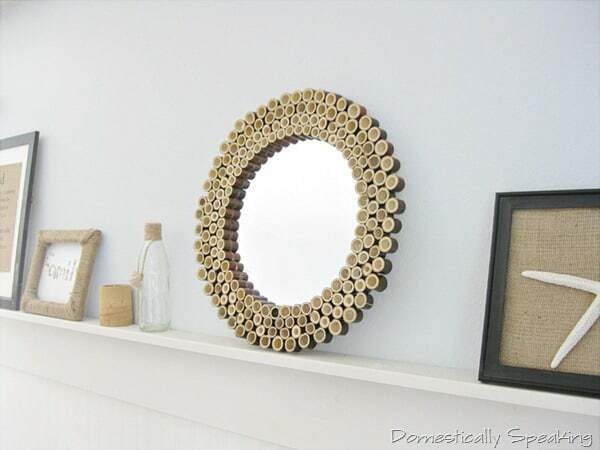 Create a bamboo mirror… it’s time to bring the outdoors inside. 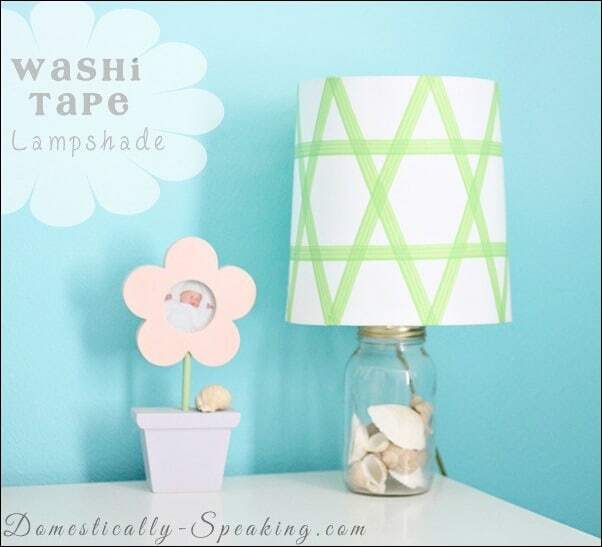 Brighten up a basic white shade with some cute washi tape. 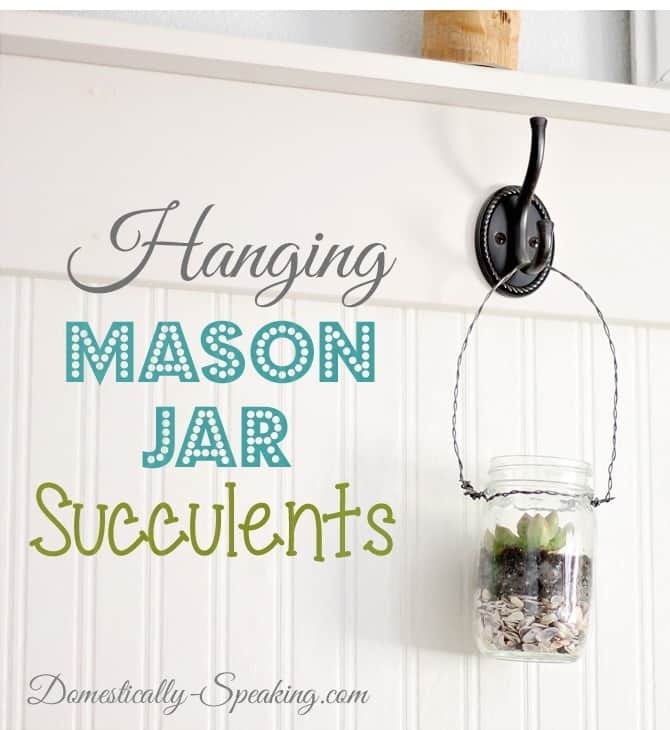 Make your own Hanging Mason Jar Succulents. 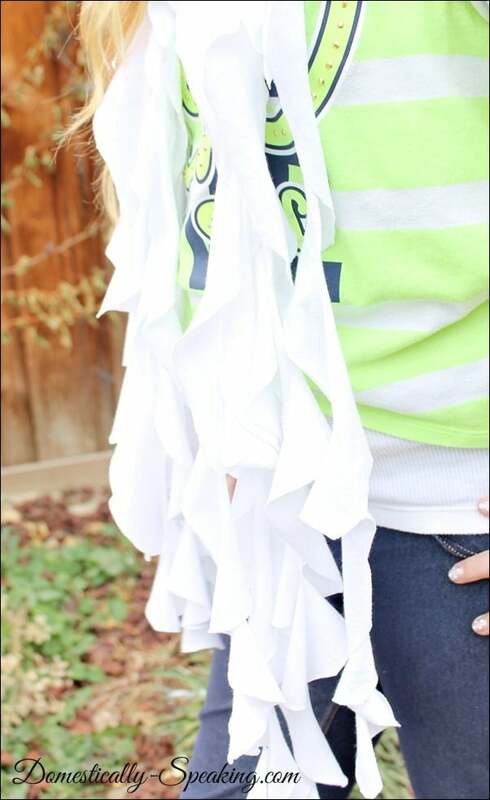 Warmer weather means lighter scarves… make your own ruffled scarf with a t-shirt! Thanks for stopping by friends… have a fabulous week! 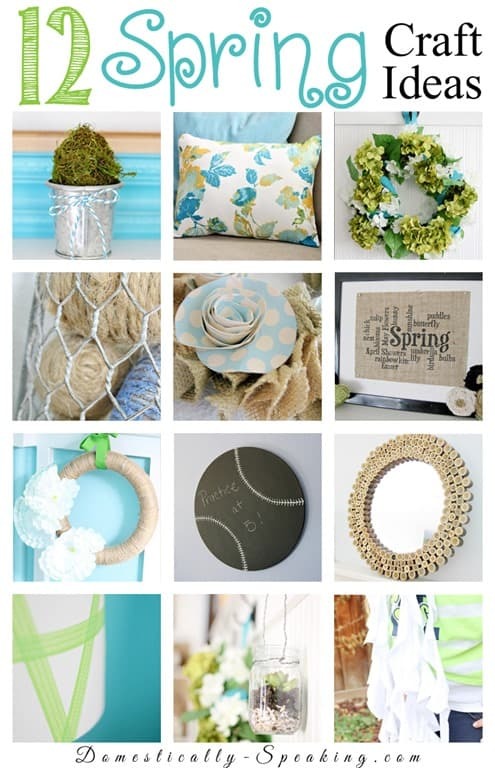 Great crafts…love the dish towel pillow. So pretty! We’ve been having Spring like weather here in Houston, too. Although I think some colder air is on the way next week. Your projects are perfect for Spring! So fresh, and bright and full of life…just like Spring itself. These beautiful craft projects were added to our family’s Friday Finds link-up ! Ahhh, I just love the colours of Spring!! Great projects Maryann, thanks! Awe thanks Julie & I hope you get some warmer weather soon! I love ALL of these ideas – you’re so talented. These are so fresh & fun – pinned! 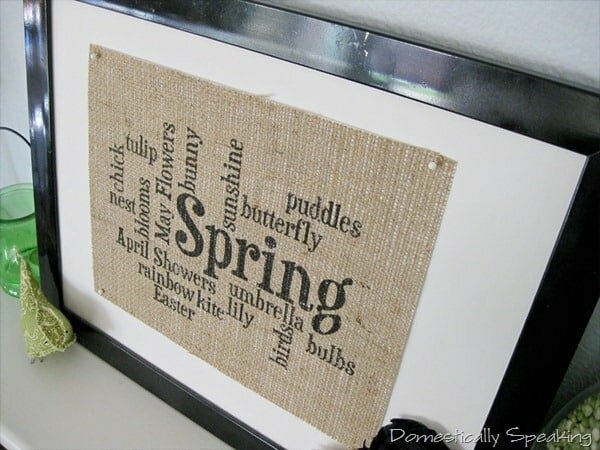 Wow – all of your spring craft ideas are fabulous!! I love the ruffly scarf! I’ll be glad to put away my big knitted cowl for a springy version like this! Pinned! Absolutely gorgeous ideas, every single one of them! Love all these ideas!! Super cute. I know we aren’t allowed to complain about the weather here but it was actually a little chilly today.